Markdown is everyone. Most developers use this markup language to create documentation files regarding the app they are developing. While Markdown is mostly implemented on web as it is projected to be an alternative to HTML, you can also use Markdown on desktop. 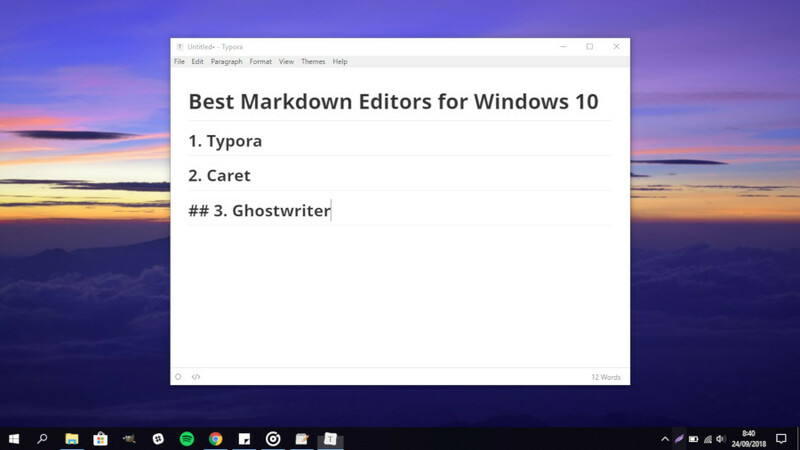 If you use Windows 10, here are some Markdown editors you can use. Markdown itself was firstly released in 2004. It was invented by John Gruber. Unlike HTML which use complex tags to format your documents, Markdown adopts plain text formatting syntax in which much simpler. 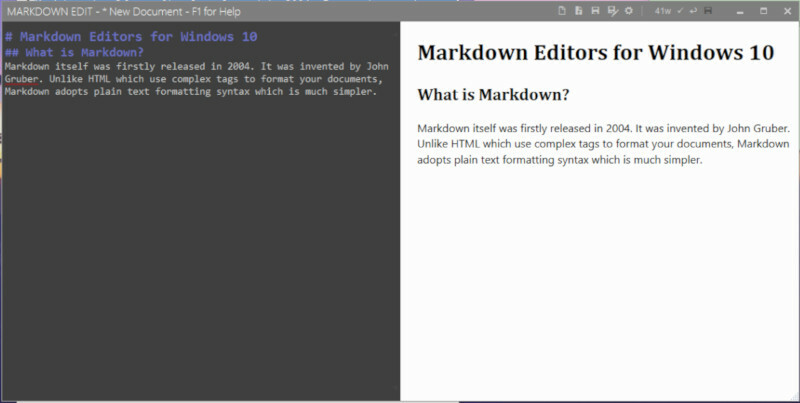 Following are 6 of the best Markdown editors you can install on Windows 10. At the time of writing, Typora is still in the beta phase so you can use it for free. 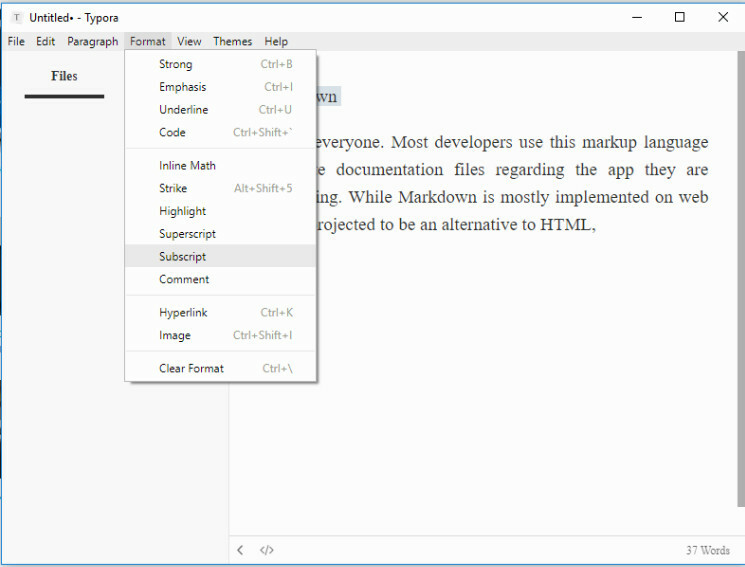 Typora itself is cross-platform Markdown editor. In addition to Windows 10, the tool is also available for Linux and Mac. 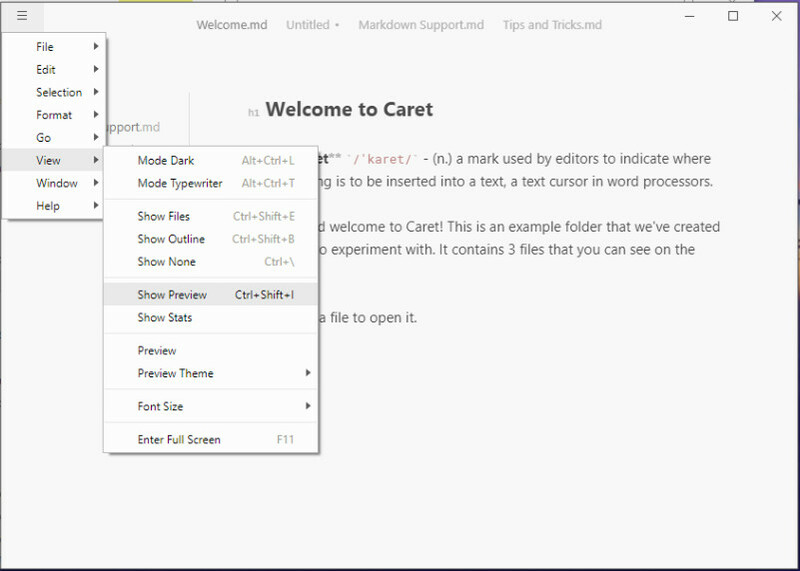 Caret is not designed to be a distraction-free Markdown editor like Typora. You will keep seeing the Markdown syntax when working and there is option to hide it. Caret itself adopts a tabbed interface. Every time you create a new file, a new tab will be automatically open. The interface of Caret is divided into two panels and there is no option to switch to a single panel. So, Caret is probably not the best option if you are looking for a distraction-free Markdown editor. One of the interesting features offered by Caret is auto-save. This feature is pretty useful to prevent something bad from happening due to system error, like computer suddenly restart or some similar problems. Some other features offered by this tool are auto-completion, contact actions, assistance, inline renders and so on. Caret itself is a paid tool. You can install Caret on your Windows 10 computer and use it for several days. But for a continued use, you need to pay for the license. 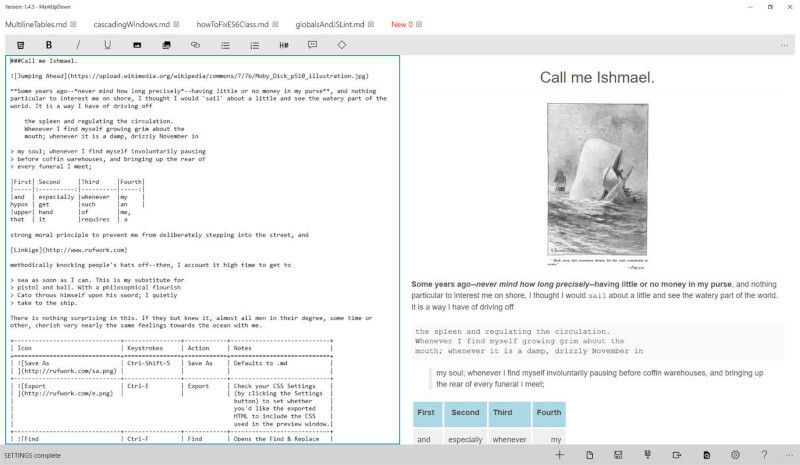 MarkUpDown is a paid Markdown editor for Windows 10. This app is distributed via Windows Store. MarkUpDown also features a tabbed interface that allows you work on several Markdown documents in a single window. MarkUpDown will quickly turn your Markdown formatted text into formatted web pages. For pro users, MarkUpDown also features tuned in edit command which are available via keyboard shortcuts. In addition, this Markdown editor also features a built-in option to upload images to Imgur. By default, MarkdownPad offers a dual-panel interface. The left panel to write your Markdown document and the right panel to preview the Markdown you are writing. You can also switch to a single panel mode if you think that working with a dual-panel interface makes you less focused. 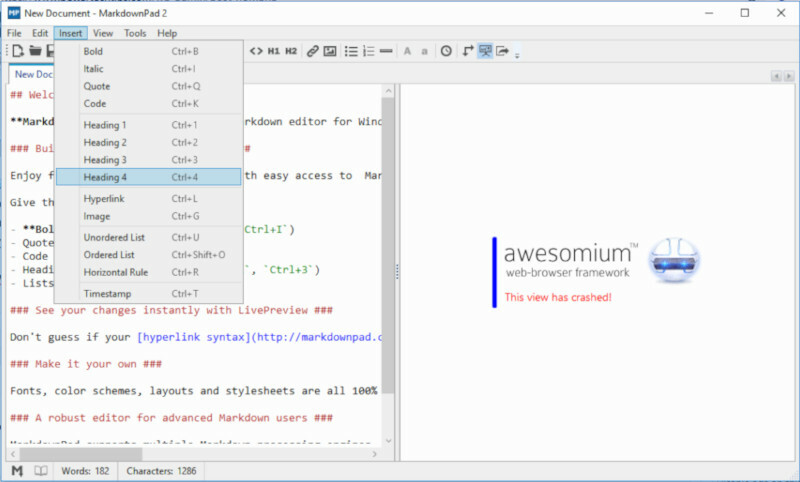 MarkdownPad itself is a freemium Markdown editor. Free version can only be used for a non-commercial use. Handy features like auto-save, PDF export and image uploader are only available on the paid version. MarkdownPad itself also offers formatting features and tabbed interface to allow you working on several Markdown documents on a single window. 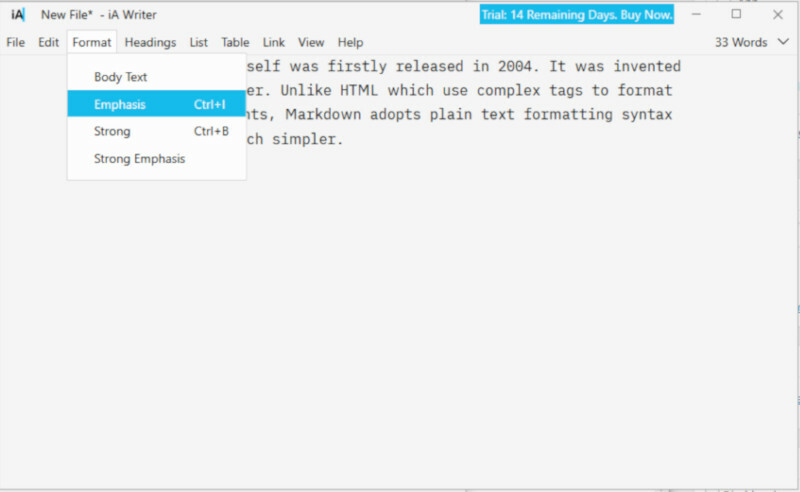 iA Writer comes with a very clean interface to help you focused on the Markdown document your are working on. It will immediately hide the menu bar as you start typing. Nothing you see on the iA Writer window but your Markdown text. Preview is available in a separate window as you click the Preview option on the View menu. iA Writer itself offers only a single panel. You can turn the window of iA Writer into a full screen mode to get rid off all of the distractions when working. In addition, iA Writer also offers a paragraph as well as sentence based focus mode. Formatting feature is also available on this tool. iA Writer is a paid Markdown Editor. You have 14 days trial period to use iA Writer for free. Markdown Edit is one of the best answers if you are looking for a free Markdown editor for Windows 10. However, it is not good enough if you don’t like a dual-panel Markdown editor. Markdown Edit actually has a clean enough interface. The emphasis of this Markdown editor is on the content and keyboard shortcuts. That is why you will see no complex menu bar on the Markdown Edit window. You will only see several icons on the right area of the window bar area of this tool. Markdown Edit has an auto-save feature. Unfortunately, it doesn’t support multiple tabs so you can only work on a single Markdown document in a Markdown Edit window.